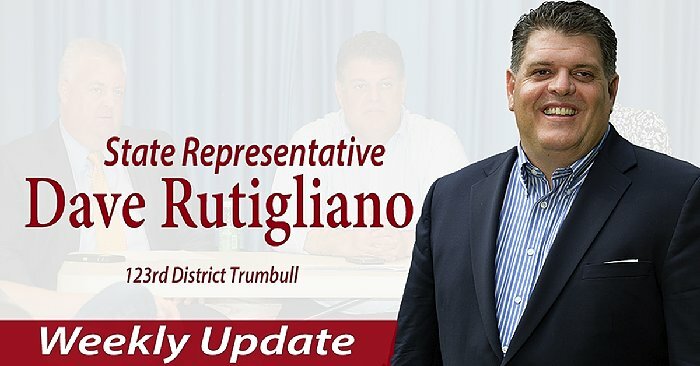 TRUMBULL- Each year State Rep. David Rutigliano (R-Trumbull) visits the 4th graders at Daniels Farm School and has a discussion with the class about state and local government issues, this year was no different. “It is always fun and engaging conversation with the students. 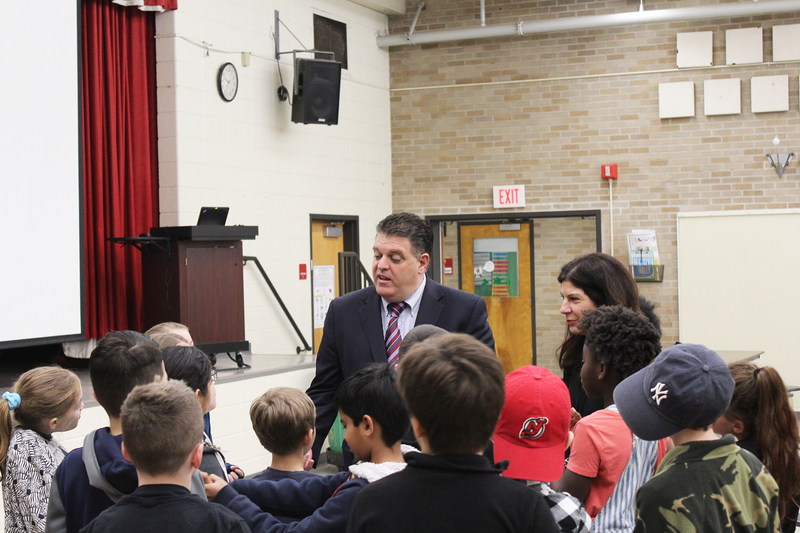 The kids asked many smart questions and seemed really interested on state government. I look forward every year to their visit to the State Capitol in the spring,” said Rep. Rutigliano. HARTFORD — Trumbull state legislators, State Reps. David Rutigliano (R-123), Laura Devlin (R-134) and Ben McGorty (R-122) all voted against a new two-year contract Wednesday for newly unionized lawyers working for State Attorney General William Tong that includes raises costing the state an additional $3.3 million starting in the second year. 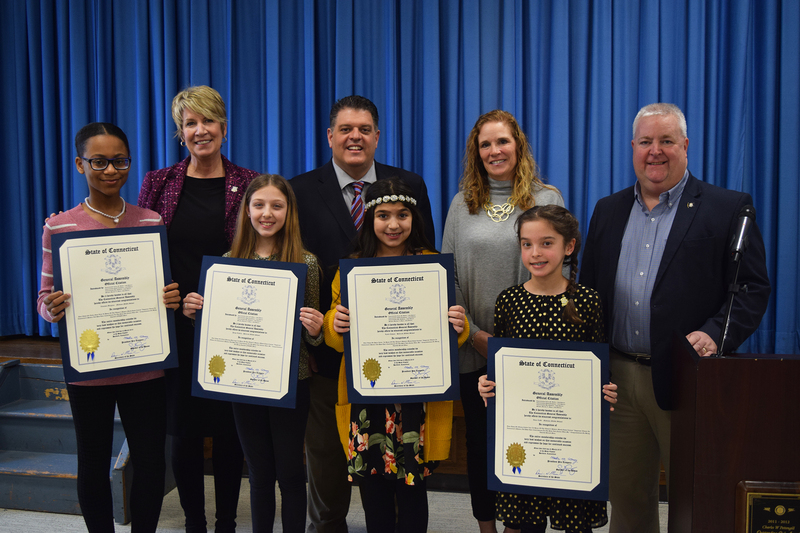 TRUMBULL– State Representatives David Rutigliano (R-123), Laura Devlin (R-134) and Ben McGorty (R-122) hosted their Fifth Annual House of Representatives Women’s History Month Essay Contest at the Trumbull Library on Saturday March 22nd. 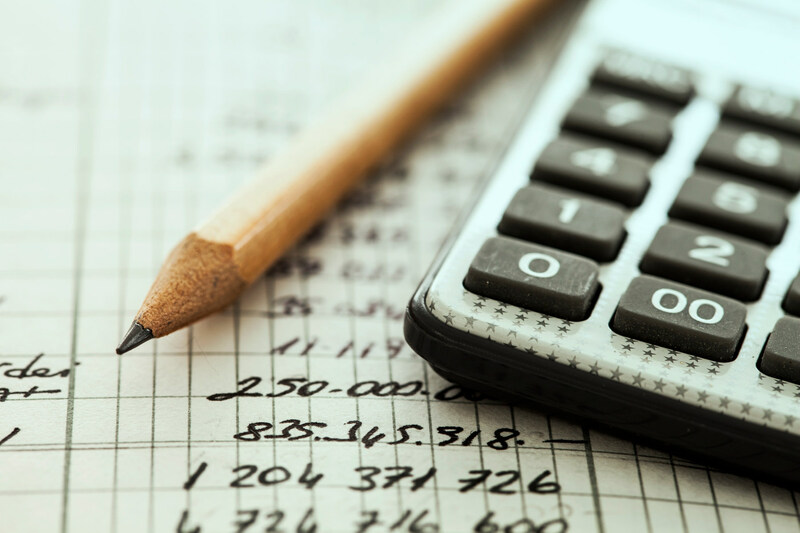 On Friday, Governor Ned Lamont’s budget proposal will be in front of the Finance, Revenue, and Bonding Committee. 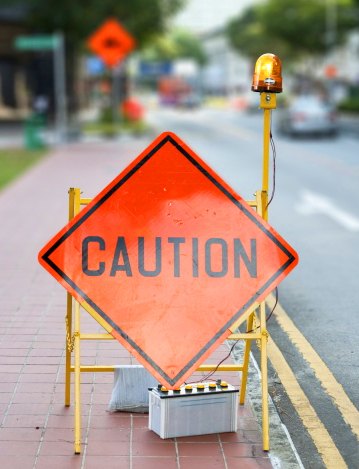 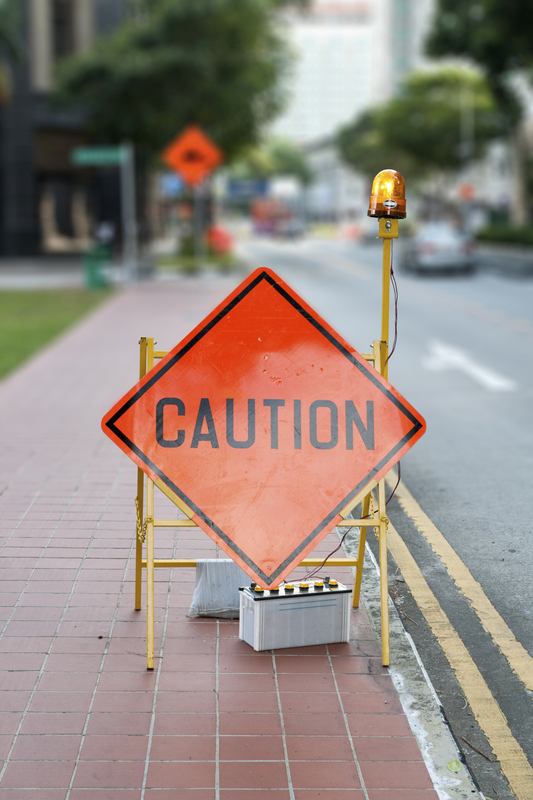 As you may know, the governor is looking to increase revenues by implementing 53 tolls throughout the state and expanding the sales tax to include new items and services. 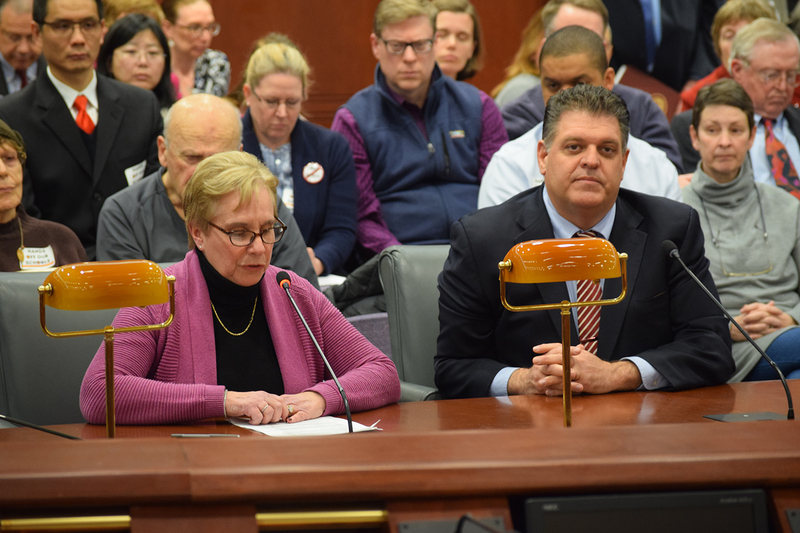 HARTFORD- Today State Rep. David Rutigliano (R-123) stood side-by-side with Trumbull First Selectwoman Vicki Tesoro along with State Rep. Laura Devlin, who is a member of the legislature’s Education committee, testifying against proposals that would strip local control away from our school district with plans to force districts to regionalize. HARTFORD- State Rep. David Rutigliano (R-123) testified in the Insurance and Real Estate committee on his proposal to stop insurers from denying coverage or charging a higher premium if an individual has previous claims histories concerning Naloxone Hydrochloride (Narcan). 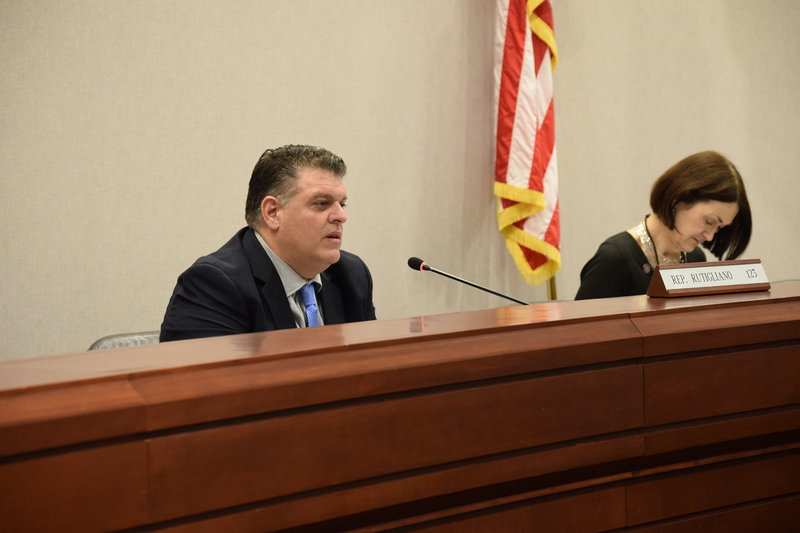 Rep. Rutigliano was pleased by the positive reception the legislation, HB-6087 An Act Restricting the Use of Prior Claims Histories Concerning Naloxone Hydrochloride received by members of the Insurance committee during the public hearing. 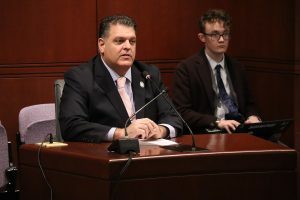 “We are receiving reports that some people who have filled the prescription for Narcan are being denied life insurance and disability insurance or are being quoted an increased rate for health insurance,” Rep. Rutigliano said. 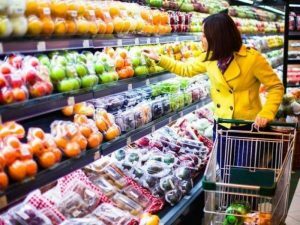 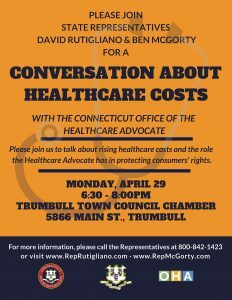 HARTFORD- State Reps. David Rutigliano (R-123 today came out against the legislative concept of applying a state sales tax to groceries and non-prescription medicine.